For a company founded 14 years ago and having only been making a true production vehicle since 2012, Tesla is doing quite well. But the established automakers, and particularly the German luxury giants, are not happy to see a new player joining their ranks. Over the past couple of years, companies like BMW, Mercedes, and Porsche have been announcing their intentions to introduce a luxury electric vehicle to battle the Tesla Model S or Model X, showing off flashy quasi-SUV concepts with electric powertrains and allegedly impressive specifications. The dominant carmakers were caught a bit off guard by the success of Model S, which is now more than five years old, and so their production models aren’t due to hit the streets until next year. However, through concepts and leaked information, Tesla should have a pretty good idea of what type of competition to expect. Most luxury companies initially stated plans for slinky four-door “coupes” like the Model S, but the relative success of the Model X SUV and the general market trend towards crossovers have changed several automakers’ minds. Audi’s e-tron Quattro and e-tron Sportback concepts preview an electric SUV rumored to debut within the next year. If the concepts are any indication, the SUV will use three electric motors (one on the front axle, two on the rear) that would propel the Audi to 60 mph in the mid-four seconds with a battery range of more than 300 miles. Jaguar is also prepping an SUV due next year, the I-Pace. 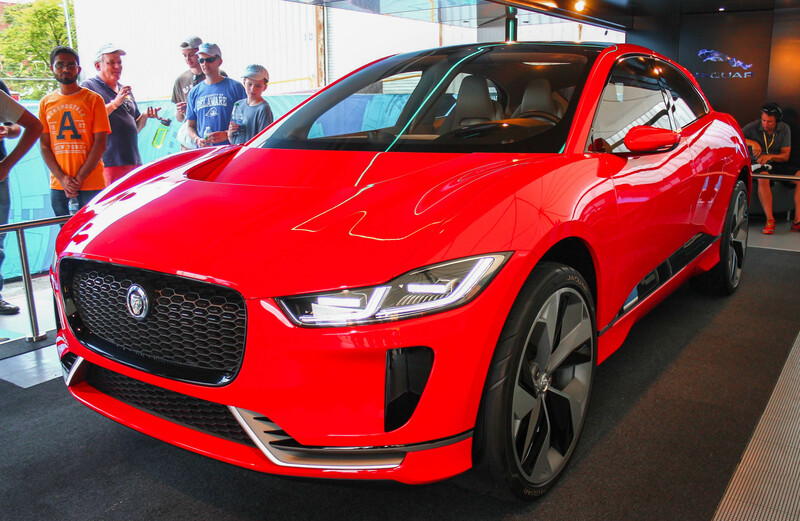 The bodywork of the stunning concept is supposedly quite close to the production version, and with one electric motor at the front and one at the rear, the Jaguar matches the Audi’s acceleration figures. BMW has taken a slightly different route. BMW has created a sub-brand, trendily dubbed “i,” and has already put two electric models into production, the i3 and the i8. The i3, a quirky little hatchback, has had relative success globally, while the futuristic and gorgeous i8 sports car has sold in small numbers. While the fate of these two models is undetermined, BMW has previewed a future “i” car, to be called the i5, with its i Vision Dynamics Concept. While this concept is a sedan, rumors also suggest a car called the iNext, which may be a codename for the i5 or a separate SUV model. Mercedes is following in the footsteps of its Bavarian competitor, announcing its “EQ” electric sub-brand with the Generation EQ Concept two years ago. This concept, which had a two electric motor setup and scalable battery parts for different amounts of power, hinted at a midsize SUV that is due out next year. The EQA Concept, on the other hand, will be a swanky little hatchback when it comes out in 2020. With the same setup as the SUV, it will get less power but still be able to do the 60 mph sprint in 5 seconds and have a range of up to 400 miles. Sports car connoisseur Porsche has even jumped on the bandwagon, with its achingly beautiful "Mission E" concept. Expected to arrive next year, the Mission E promises to maintain the classic Porsche look while delivering over 600 horsepower, 60 mph in less than 3.5 seconds, and a range of approximately 500 miles. The Mission E is also rumored to be a true performance car, and might spawn an SUV variant not long after. A recent entry is Polestar—formerly Volvo’s performance arm, Polestar is now a separate electric sports car brand. Their first vehicle, the “1,” will actually be a hybrid coupe based on the handsome Volvo Concept Coupe, and will begin production in mid-2019. With financial backing from Chinese car giant Geely and track-car know-how from Lotus (which Geely also acquired), the Polestar brand looks to have a bright future. While all of these automakers rush to bring their electric cars to market, Tesla is continuing to expand. Along with the Model S and Model X, a smaller sedan called the Model 3 is ramping up production now, a new Roadster supercar is coming in 2020, and a semi-truck arrives sometime before that. There are also rumors of a pickup truck, a passenger van, and a small SUV in the pipeline. The established carmakers are going to have to work even faster if they want to catch Tesla.